Water tap should not flow more than 6 liter water in a minute. Thus saving water. Earlier, Water tap outlet was hallow and no restriction to water flow. Thus wastes water. So, with the time, aerator added on the outlet space of water tap. Aerator is a kind of net that restricts the flow of water. Further, air occupies space that restrict the flow of water – allowing air bubbles. The purpose of aerator is to reduce the water flow up to 40%. Hence save water. Unfortunately, this aerator is not reducing the water flow but increasing the water pressure. That is the defect in the water tap design. So, how to find the solution? Either change the design water tap to reduce the volume of water flow. Such water tap exists. But changing existing water taps will be costly and time consuming. And not many will be interested to change existing taps. 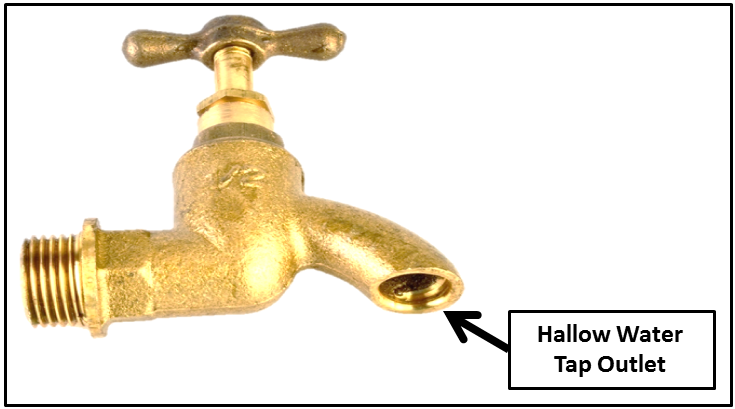 Is it possible to reduce water flow to water tap without any cost? It means it has to be done without changing the design of water tap. Right? Action: This knob needs to turn little to reduce water flow. Measure actual volume on maximum volume of water in a minute. Don’t be surprised if it is 9 liters or more. Reduce the flow so that maximum volume of water should be 6 liters in a minute. If lesser is possible and agreed to the user, go for it. The idea is to optimize it. So – it may save 3 liters or more. Or it’s 33% or more saving of water at washbasin. That’s a good count. Hurray!! 2 minutes to do it. This makes it to be the Simplest way to Save Water in the World and it comes with no cost. Someone necessarily lend a hand to make severely articles I might state. This is the very first time I frequented your web page and up to now? I surprised with the research you made to make this actual post incredible. Wonderful activity! Hi. There is a concern for everyone who try to find premium quality material. Will you try to find another site? If you inquire me I will say absolutely no. That website is ideal for me! I never thought about it like that, I like that you give people multiple solutions!